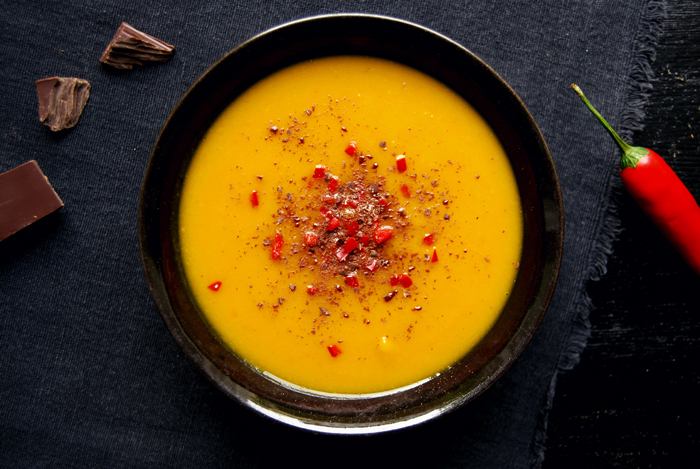 It’s cold outside and I see a bright orange pumpkin right in front of me telling me what I need – a warming pumpkin soup. 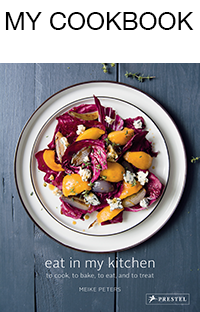 I have played around with many pumpkin variations in the past, with bacon, curry mixtures, roasted onions and I also love my puristic version with pumpkin seed oil and pumpkin seeds. Over the years my pumpkin soups became more spicy. I tend to feel cold all the time in Winter and nothing beats a hot and spicy soup to warm up your body from the inside. Today I want my soup really hot and I also feel like adding some bittersweet chocolate on top (I love the combination of bitter, sweet and spicy!). I mix the soup in a blender which gives it a smooth and velvety texture. Together with the chili and bittersweet chocolate sprinkles on top, it makes quite a sensual meal! In a large pot, heat a splash of olive oil and cook the onion for a few minutes until golden and soft. Add the garlic, leek and carrots and cook for 2 minutes, stirring constantly. 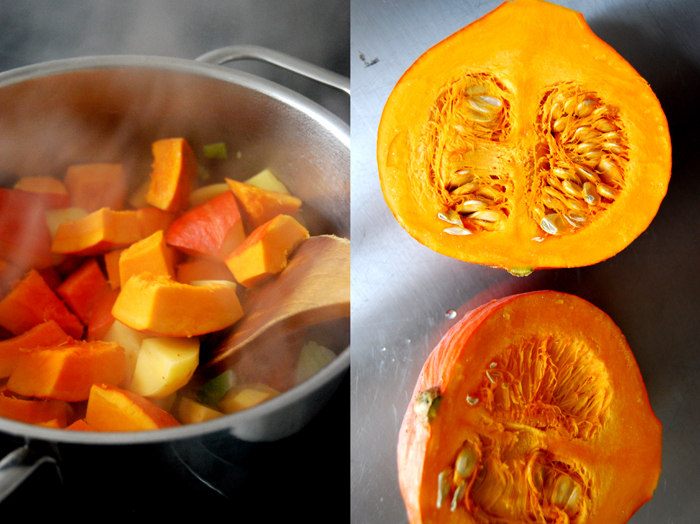 Add the pumpkin and potato, cook for 2 minutes and cover with water. Add the bay leaf and the dried chili peppers and season with mace (or nutmeg), salt and pepper. Bring to the boil and cook for about 30 minutes (without a lid) or until the pumpkin is soft. Take the pot off the heat and remove the bay leaf and dried chili peppers. Purée the soup with a stick mixer or in a blender until smooth, season with salt and pepper to taste. 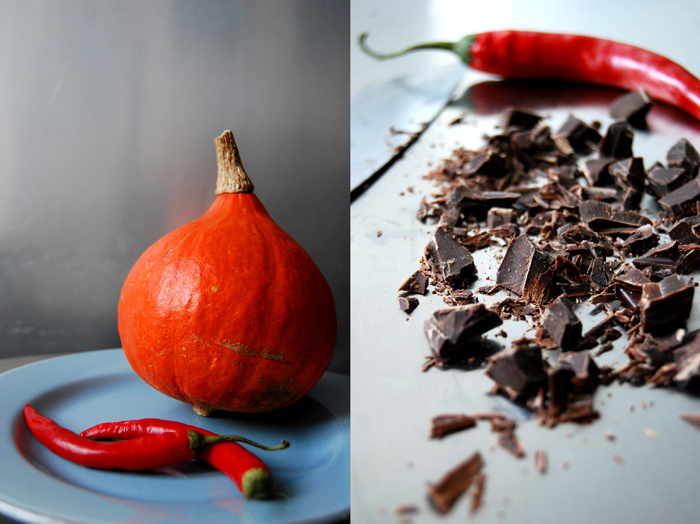 Divide the soup between the plates and sprinkle with the fresh chili pepper and chocolate.